ROBICHAUX, VÉNÉRANDE, businesswoman; b. 1 March 1753 in Annapolis Royal, N.S., daughter of Louis Robichaux*, a merchant, and Jeanne Bourgeois; d. 22 Nov. 1839 at Quebec and was buried three days later in Sainte-Anne’s chapel in the cathedral of Notre-Dame. Although he was on good terms with the British government of Nova Scotia, Vénérande Robichaux’s father was no more able than his Acadian compatriots to escape deportation in 1755 [see Charles Lawrence*]. 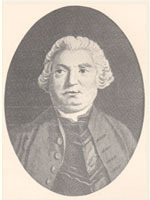 He did manage, however, to get sent with his family to Boston, where he had friends in mercantile and business circles. After three months the Robichauxs were moved by the Massachusetts government to the adjacent town of Cambridge. They apparently wanted to stay there permanently since in 1766 they let pass the opportunity to return to Nova Scotia with most of their companions in exile. In 1775, however, under the stress of the American revolution they decided to make their way back and to settle at Quebec. Vénérande’s parents could not endure further moves because of their advanced age, and she, the youngest of the family, became and remained their support until the end, her father dying on 20 Dec. 1780 and her mother on 18 March 1790. Two of her brothers had died shortly after their arrival. Vénérande’s brother Otho* followed in his father’s footsteps and went into trade. 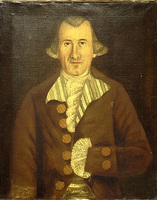 He had gone with his brothers Frédéric and Florent to the Miramichi region, in what was shortly to become New Brunswick, and there in 1781 he had bought the business and property of Pierre Loubert (Loubère), the husband of one of his cousins. Otho relied on Vénérande to dispose of his goods and do his purchasing. The products he sold in the market-places at Quebec included oysters, salmon, tallow, feathers, maple sugar, furs, cranberries, and boxes of birchbark decorated by the Micmacs with porcupine quills. In return Vénérande sent him sheets, linen, blankets, flour, spinning-wheels, carding-combs, and medicaments. During her stay in Cambridge Vénérande had become proficient in English. Her father had also taught her to read and write French and had seen that she acquired some general knowledge, as her correspondence demonstrates. About 15 letters that she wrote between 1781 and 1831 to Otho, his son Louis, and her relatives Michel Allain and Édouard (Nede) LeBlanc, all of Neguac, have been preserved by the Robichauds in that locality. Despite her complaints and worries, Vénérande Robichaux had a moderately comfortable existence, as the inventory of her assets reveals; she made her nephew Édouard LeBlanc, of Neguac, her residuary legatee. ANQ-Q, CE1-1, 25 nov. 1839; CN1-212, no.8310. Arch. de l’évêché de Bathurst (Bathurst, N.-B. ), Papiers Robichaud. Centre d’études acadiennes, univ. de Moncton (Moncton, N.-B. ), Fonds Placide Gaudet, 1.31-13A. “Les dénombrements de Québec” (Plessis), ANQ Rapport, 1948–49: 20. Placide Gaudet, “Acadian genealogy and notes,” PAC Report, 1905, 2, pt.iii. Donat Robichaud, Les Robichaud: histoire et généalogie (Bathurst, ). Pierre Belliveau, French neutrals in Massachusetts . . . (Boston, 1972). Donat Robichaud, “ROBICHAUX, VÉNÉRANDE,” in Dictionary of Canadian Biography, vol. 7, University of Toronto/Université Laval, 2003–, accessed April 21, 2019, http://www.biographi.ca/en/bio/robichaux_venerande_7E.html.